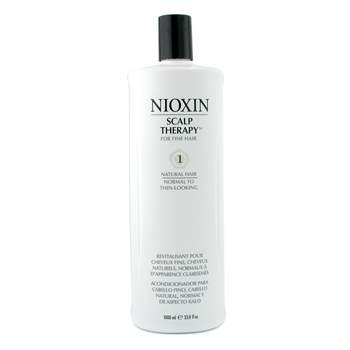 Scalp Recovery Cleanser 6.8oz This item is BACKORDERED from the manufacturer. System 1 Cleanser 10.1oz - Other sizes/options. System 1 Cleanser 33.8oz - Other sizes/options. System 1 Therapy 10.1oz - Other sizes/options. System 1 Therapy 33.8oz - Other sizes/options. System 2 Cleanser 10.1oz - Other sizes/options. System 2 Cleanser 16.9 fl. oz. - Other sizes/options. System 2 Cleanser 33.8oz - Other sizes/options. System 2 Therapy 10.1oz - Other sizes/options. System 2 Therapy 33.8oz - Other sizes/options. System 3 Cleanser 10.1oz - Other sizes/options. System 3 Cleanser 16.9 fl. oz. - Other sizes/options. System 3 Cleanser 33.8oz - Other sizes/options. System 3 Therapy 10.1oz - Other sizes/options. System 3 Therapy 33.8oz - Other sizes/options. 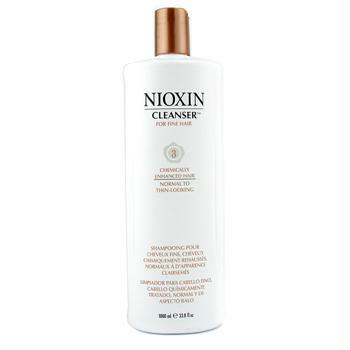 System 4 Cleanser 10.1oz - Other sizes/options. 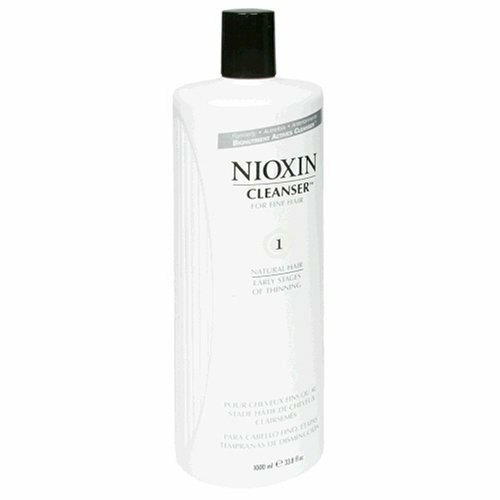 System 4 Cleanser 16.9 oz - Other sizes/options. 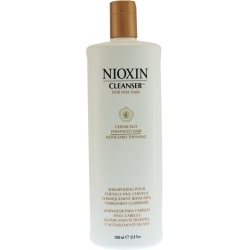 System 4 Cleanser 33.8oz - Other sizes/options. System 5 Cleanser 10.1oz - Other sizes/options. 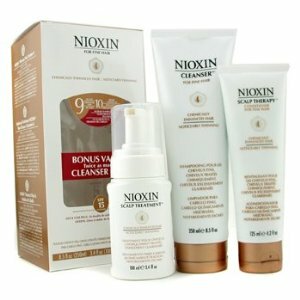 System 5 Cleanser 33.8oz - Other sizes/options. System 6 Cleanser 10.1oz - Other sizes/options. System 6 Cleanser 33.8oz - Other sizes/options. Apply to clean, damp hair. For maximum body, blow dry after application. To define curls, allow hair to air dry after application. Definition Cream OLD NAME-Volumizing Reflectives Volume And Texture Cream 5.07 fl. oz. 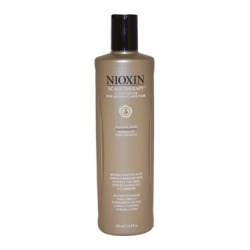 Nioxin Volumizing Reflectives Volume and Texture Creme 5.1 oz: Buy Nioxin Hair Styling Products - Definition Cream, Volume and Texture Creme gives incredible texture and body to fine hair. BioAMP strengthens the hair shaft and adds dimension from inside the cuticle. 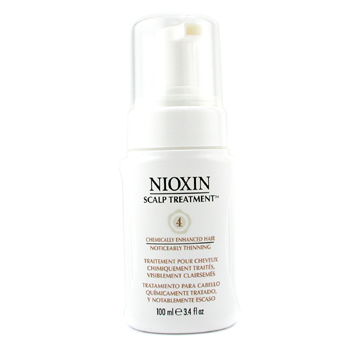 Scalp health is maintained with a formula free of damaging alcohol and PVPs. 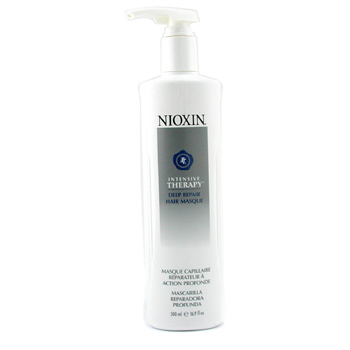 Intensive Therapy Deep Repair Hair Masque 5.07 fl. oz. Niospray Extra Hold Hairspray 10.6 fl. oz. 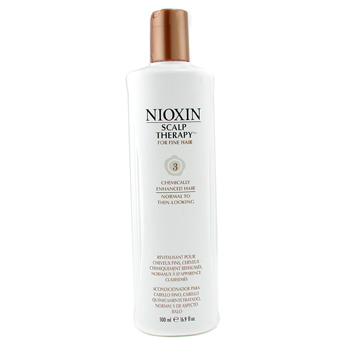 Rejuvenating Elixir With Lightplex by Nioxin for Unisex 5.07 fl. oz. System 1 Therepy 16.9 fl. oz. System 2 Therepy 16.9 fl. oz. System 3 Therapy 25.3 fl. oz. - Other sizes/options. System 3 Therapy 16.9 fl. oz. - Other sizes/options. System 4 Therapy 16.9 fl. oz. 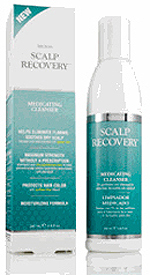 Scalp Recovery Moisturizing Conditioner 6.8oz This item is BACKORDERED from the manufacturer. 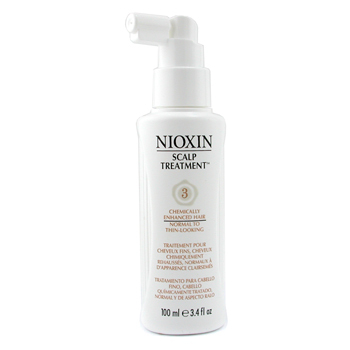 Nioxin Scalp Recovery Moisturizing Conditioner. A conditioner formulated to soothe and restore the scalp s natural moisture balance, while hydrating and conditioning the hair. This unique blend of Green Tea Polyphenols and Pyrithione Zinc combined with Triple Bonding Complex and ProCement technology helps to improve tensile strength and elasticity, helps to protect and restore hair color and vibrancy, and helps to rebuild and moisturize damaged hair. 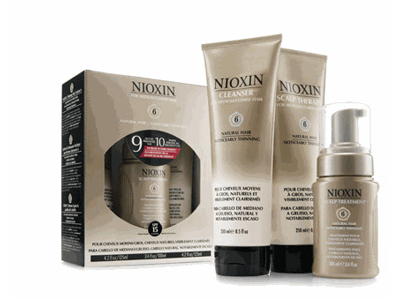 Improves scalp health and hydrates the hair. Dermatologist tested. 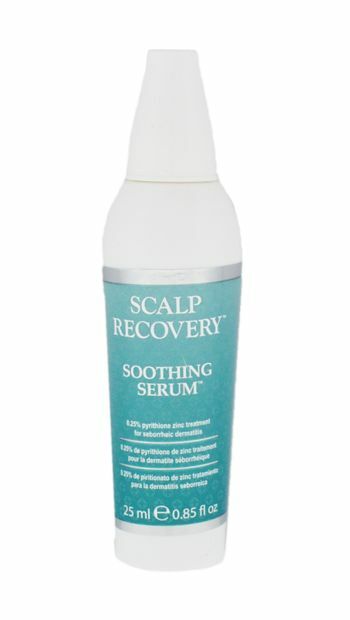 Scalp Recovery Soothing Serum 3.4oz This item is BACKORDERED from the manufacturer. 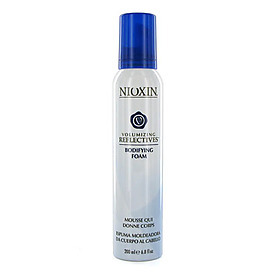 Nioxin Bodifying Foam Volumizing Reflectives. A weightless, alcohol-free, extra-hold mousse that provides volume and style support while regulating the hair s moisture balance. 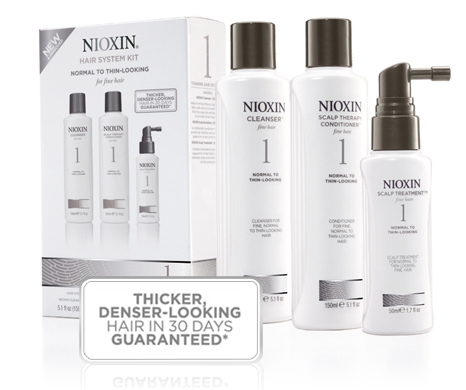 Helps to provide dimension and curl definition without build-up. 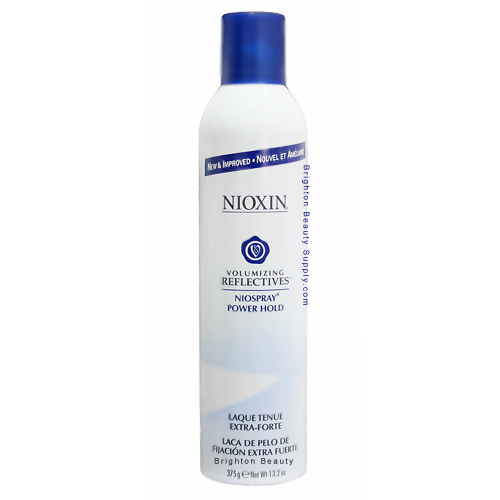 Nioxin NioSpray Power Hold Volumizing Reflectives. A humidity-resistant finishing spray that provides volume and texture with control and support in any type of weather without build-up or flaking. Formulated to protect hair from becoming dry and brittle while helping hair retain style memory and increasing manageability. This spray is brushable, flexible, and works great as a working spray. Hold Level: Power Hold. Diamax Thickening Extrafusion Treatment 3.38 fl. oz. System 1 Treatment 3.4oz - Other sizes/options. System 1 Treatment 6.8 fl. oz. - Other sizes/options. 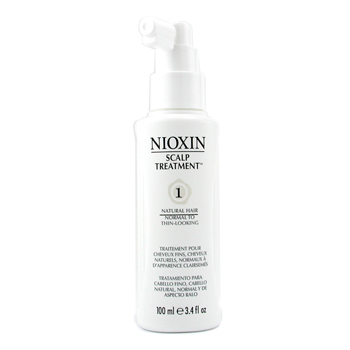 Nioxin System 2 Scalp Treatment SPF 15 For Fine/Natural Noticeably Thinning Hair. A daily leave-in scalp treatment with SPF 15 sunscreen to protect the scalp skin from harmful UVA/UVB rays while helping to break-down sebum and safeguard against residues and DHT buildup on the scalp. Delivers essential botanicals, antioxidants, nutrients, and vitamins to the scalp and hair for fuller, thicker, healthier-looking hair. 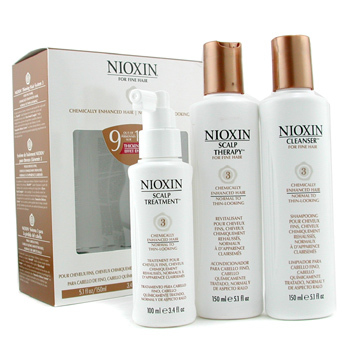 Nioxin System 3 Scalp Treatment For Fine/Chemically Enhanced Normal to Thin Looking Hair. A daily leave-in scalp treatment that helps break-down sebum and safeguard against residues and DHT buildup on the scalp while preserving hair color. Delivers essential botanicals, antioxidants, nutrients, and vitamins to the scalp and hair for fuller, thicker, healthier-looking hair. System 4 Therapy 10.1oz - Other sizes/options. 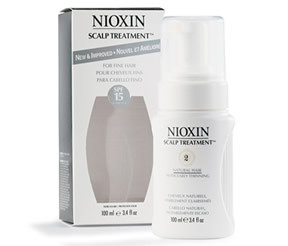 Nioxin System 4 Scalp Therapy For Fine/Chemically Enhanced Noticeably Thinning Hair. A daily volumizing scalp and hair conditioner that protects the hair and scalp during chemical services. 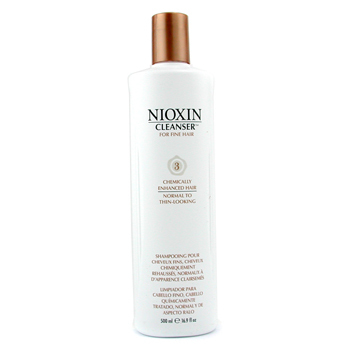 Moisturizes and energizes the scalp without weighing hair down. System 4 Therapy 33.8oz - Other sizes/options. 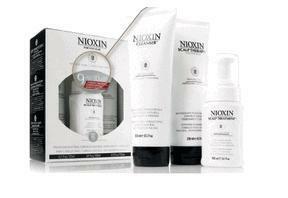 Nioxin System 4 Scalp Treatment with SPF 15 For Fine/Chemically Enhanced Noticeably Thinning Hair. A daily leave-in scalp treatment with SPF 15 sunscreen to protect the scalp skin from harmful UVA/UVB rays and color-fade while helping to break-down sebum and safeguard against residues and DHT buildup on the scalp. Delivers essential botanicals, antioxidants, nutrients, and vitamins to the scalp and hair for fuller, thicker, healthier-looking hair. System 5 Therapy 10.1oz - Other sizes/options. 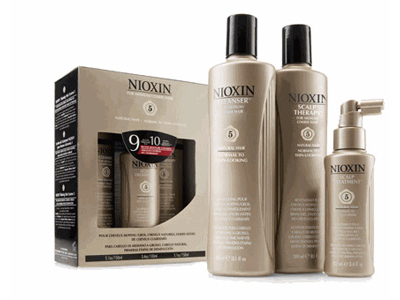 Nioxin System 5 Scalp Therapy For Medium/Coarse Natural Normal to Thin Looking Hair. 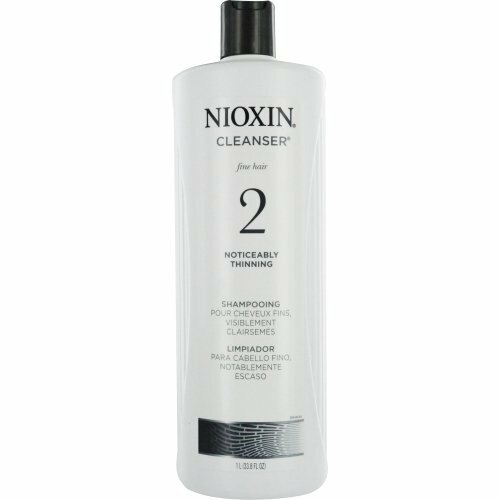 A daily volumizing scalp and hair conditioner that restores moisture and improves resilience and elasticity in the scalp skin and hair while energizing the scalp. 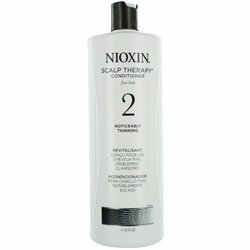 Promotes a healthy scalp with soothing essential oils, special anti-oxidants, and enzymatic complexes. Will not weigh hair down. System 5 Therapy 33.8oz - Other sizes/options. 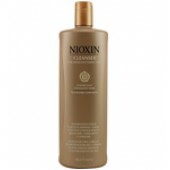 Nioxin System 5 Scalp Treatment For Medium/Coarse Natural Normal to Thin Looking Hair. A daily leave-in scalp treatment that helps break-down sebum and safeguard against residues and DHT buildup on the scalp. Delivers essential botanicals, antioxidants, nutrients, and vitamins to the scalp and hair for fuller, thicker, healthier-looking hair. System 6 Therapy 10.1oz - Other sizes/options. 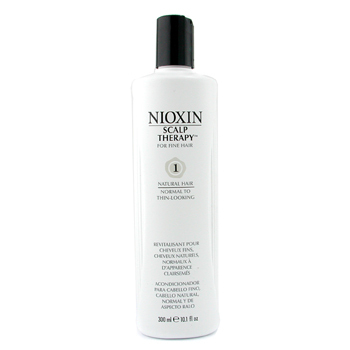 Nioxin System 6 Scalp Therapy For Medium/Coarse Natural Noticeably Thinning Hair. A daily volumizing scalp and hair conditioner that restores moisture and improves resilience and elasticity in the scalp skin and hair while energizing the scalp. 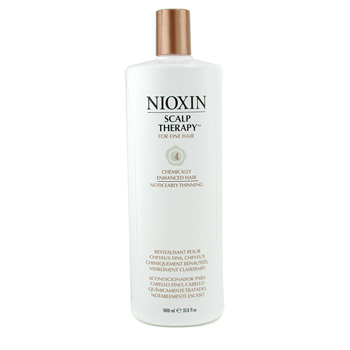 Promotes a healthy scalp with soothing essential oils, special anti-oxidants, and enzymatic complexes. Will not weigh hair down. System 6 Therapy 33.8oz - Other sizes/options. Nioxin System 6 Scalp Treatment SPF 15 For Medium/Coarse Natural Noticeably Thinning Hair. A daily leave-in scalp treatment with SPF 15 sunscreen to protect the scalp skin from harmful UVA/UVB rays while helping to break-down sebum and safeguard against residues and DHT buildup on the scalp. Delivers essential botanicals, antioxidants, nutrients, and vitamins to the scalp and hair for fuller, thicker, healthier-looking hair. 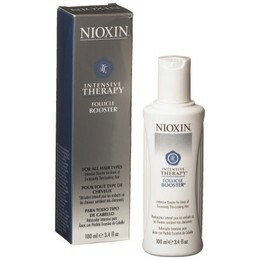 Nioxin NioSpray Extra Hold Volumizing Reflectives. A humidity-resistant finishing spray that provides volume and texture with control and support in any type of weather without build-up or flaking. Formulated to protect hair from becoming dry and brittle while helping hair retain style memory and increasing manageability. This spray is brushable, flexible, and works great as a working spray. Hold Level: Extra Hold.